It’s always dangerous when forklifts and people inhabit the same work areas. You’ve probably heard the statistics when it comes to the forklift and its safety, but one of the most disturbing is the injury rate compared to incident rate. 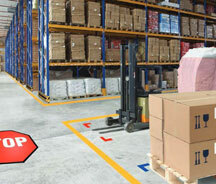 Forklifts cause just 1% of industrial accidents, but are responsible for a staggering 10% of all injuries in the space. So what can you do to help keep people and industrial traffic separated? Floor lines are a good start, and floor marking tape is inexpensive. It’s easy to install, and you should have it in place. You should always have a designated lane for forklift travel, and lines are a great way to lay out the accepted transport aisle. But lines are just lines, and easy to ignore for busy drivers. One way to curtail this is to install steel guard rails for the run of the lane. Of course, that’s not inexpensive for very long lanes. If you can afford that, and if your plant layout allows it, it’s the best way. Neither pedestrian or forklifts can ignore solid steel. But often due to cost, or due to plant functions, you simply can’t do that. But you can use the Pareto principle and guard only the most problematic areas: the corners. When you add guard rails in addition to tape at corners, you slow forklifts as they corner, and you force the driver to pay attention to his lane as he approaches the corner. He won’t swing inside or outside the corners, which can influence the way he drives the entire distance. 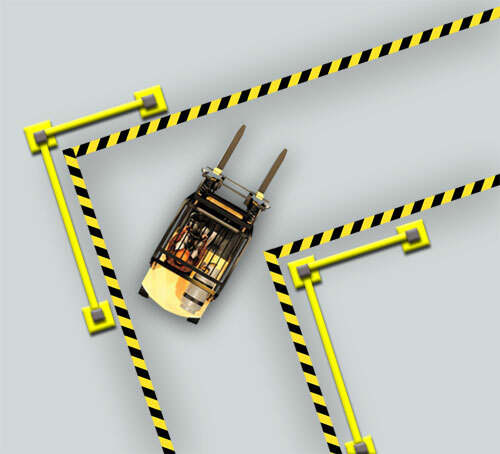 It prevents the forklift from cutting through an area where workers on foot should be safe. At times, we see work cells, building columns, storage, or production equipment installed near corners, so extra attention is warranted. You can also add visibility enhancing devices like dome mirrors, traffic control systems like AisleCop® automated forklift management gate systems, or even traffic sensors to further increase safety in these areas. But for a fast, easy enhancement, it’s hard to beat hardening your aisle corners with guard rails. 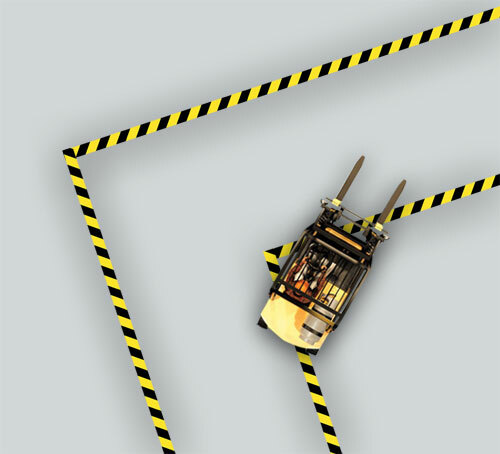 Can forklift safety be automated?